The 13th Annual Conference of the European Society of International Law will take place in Naples, Italy, on 7-9 September 2017. 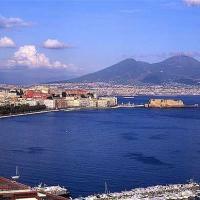 The conference will be hosted by the University of Naples Federico II. The theme of the conference is ”Global Public Goods, Global Commons and Fundamental Values: The Responses of International Law”. The opening session of the conference will be held in the Teatrino di Corte, the King’s private opera theatre inside the Royal Palace, and the main conference will be held in the Castel dell’Ovo, a magnificent medieval building which is the oldest standing fortification in Naples. Pre-conference ESIL Interest Group events will be held at the historical premises of the School of Law of the university. Please check the conference website regularly for further updates. You may now register for the 2017 ESIL Annual Conference. Register now and take advantage of the early-bird registration fees until 30 April 2017.